Royal Enfield Rider Mania 2016 edition is scheduled to be held from Nov. 20 to Nov. 22, 2015. It will be held in Vagator, Goa where several riders will come riding down to. This year Royal Enfield is expecting participation from over 6,000 bikers from India as well as other countries. 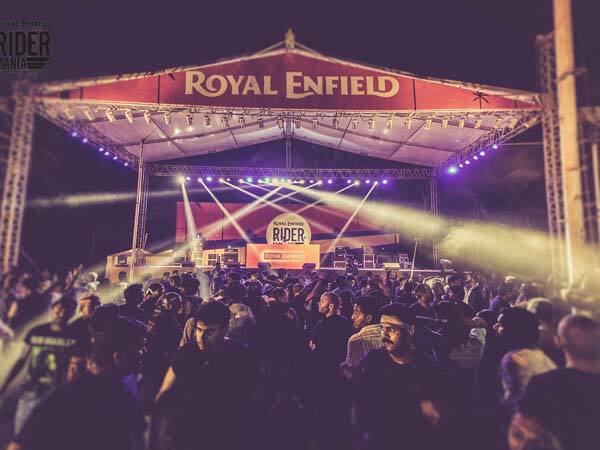 The 2015 edition of Royal Enfield Rider Mania will have several artists performing live. India Ocean, Raghu Dixit Project, Karsh Kale, Dualist Inquiry, F16, and DJ Nucleya will be performing for the thousands of bikers that will attend this show. Individuals who would like to participate in Royal Enfield Rider Mania can register online as well by clicking the link. 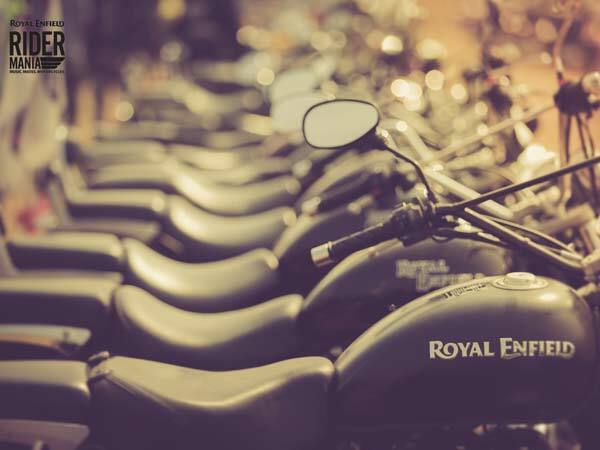 Royal Enfield organises several events for its customers, providing a biker brotherhood. Several customised Royal Enfield's will be present at the event. Most of these custom bikes have been built by aspiring motorcycle designers in India. Royal Enfield will be presenting the best custom motorcycle with Custom Bike of Rider Mania 2015 award. For three days, Royal Enfield has planned out several activities for riders. They will organise Dirt Track riding sessions, Long Distance Travel Forum, Assembly Wars, Cleanest Bike Competition, Arm Wrestling, Slow Bike Race, Beer Drinking, and several other fun-filled activities. Royal Enfield loves its customers and fans, so there is a high possibility that their latest Adventure Motorcycle could be showcased. The ‘Himalayan' motorcycle could make its debut at 2015 Royal Enfield Rider Mania ahead of its imminent global launch.